Printers have a questionable reputation among computer owners. It has long been said that computers and printers don’t get along, and once you have accumulated enough experience trying to keep them both running at moderate levels of efficiency, you will find it hard to disagree. All that said, it is important to keep your printer in good condition if for no other reason than to avoid overspending on repairs, replacements and refills. Gallon for gallon, printer ink is one of the most valuable substances on Earth, and there is nothing that will put both your sanity and business in jeopardy faster than the inability to print a crucial document on time. 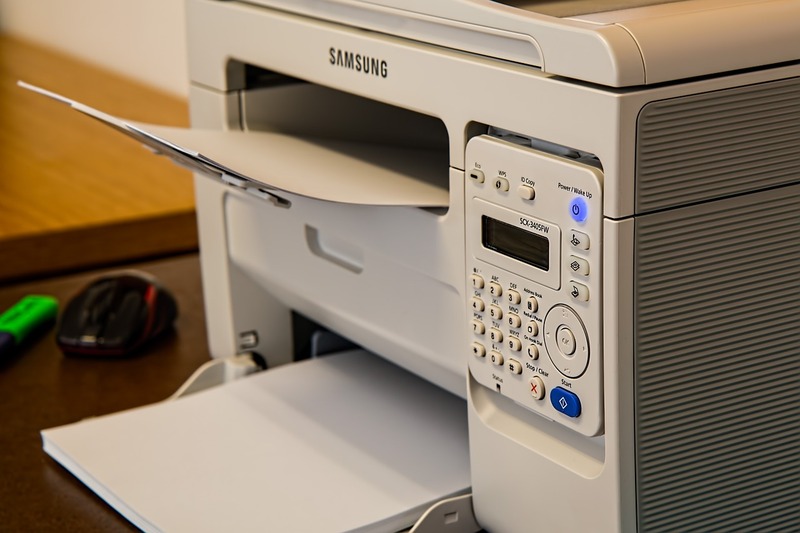 If you are looking for ways to keep your printer in top shape, here are some things to consider. It is highly advisable you keep your printer in a location with as few temperature fluctuations as possible. Continual or extreme temperature changes can have a detrimental effect on solid state electronics. This goes double for devices like printers due to the fact they have both electronic and mechanical parts. Printers shouldn’t be kept near direct sunlight, nor should they be in a location near a kitchen, freezer, shower or any other facility likely to produce even moderate changes in humidity. Condensation can be destructive to precision components, and humid indoor air can cause both dirt and bacteria buildup on hidden surfaces that will eventually either degrade or damage your printer. If you need advice about the right environment for your printer, consider a company with managed print services offers support. Be very careful about using compressed air or cleaning chemicals on your printer. High pressure air can force dust into the mechanisms and electronics and disrupt proper operation. Chemicals that seep into protected areas can cause electronics to short out or fail in unexpected and hard-to-evaluate ways. It is important that dust not be allowed to accumulate on or near your printer for the same reasons compressed air can be hazardous. Particulates can clog or block the proper operation of precision machinery, especially if they are allowed to float or accumulate. If possible you should consider some kind of air filtration system and see about combining it with a properly maintained air conditioning system. Putting stress on printers with the wrong kinds of paper can have both short and long-term effects on the quality of output and the longevity of your machine. It is highly recommended you consider taking specialty jobs to a local print shop where they have suitable hardware. Using your home or small office machine to print up 100 high gloss photos might be a job your printer can do. It might also be the last job your printer does. Always consider the fact printers are complex mechanisms filled with precision electronics all operating on tolerances of tiny fractions of an inch. A modern printer is very different from a 1940s typewriter. They can both do amazing things, but the printer requires a little more careful maintenance.